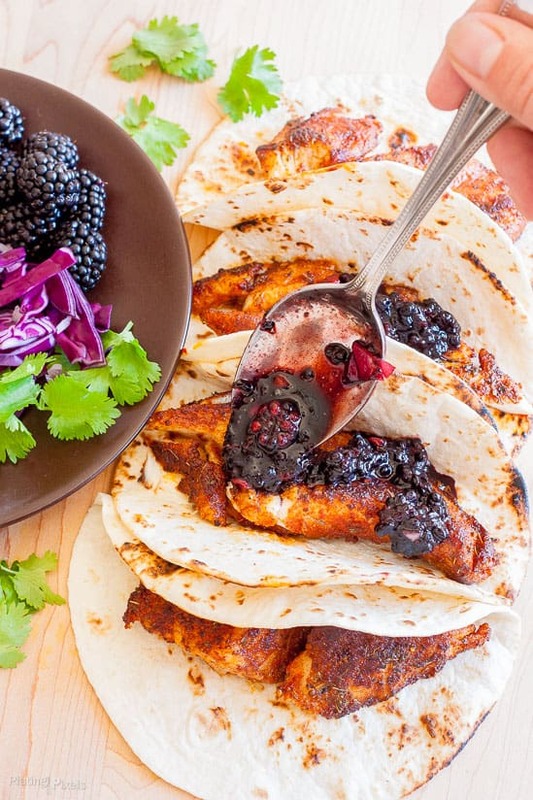 Blackened Fish Tacos with Blackberry Balsamic Salsa. Blackened seasoned Cobia fish topped with fresh sweet blackberry salsa, purple cabbage, and cilantro. Open Blue Cobia. Those words may be new to you. 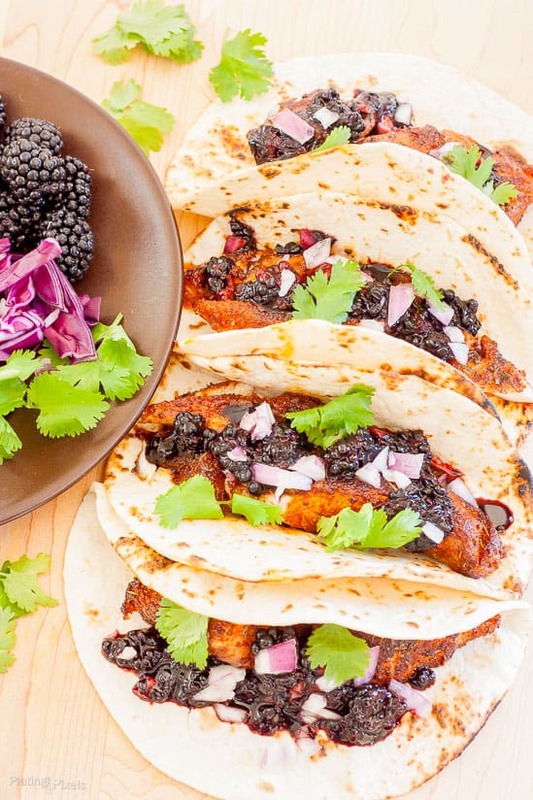 I hope that changes now that you’ve found this Blackened Fish Tacos with Blackberry Balsamic Salsa recipe. There’s so many fun things about being a food blogger; one is trying new products, especially if they are of this quality. I don’t always recommend a brand or product so whole-hearteldy, sponsored or not, but this may be the best fish I have ever tasted. Even after just arriving from a vacation in Kauai and having fresh caught poke-style fish. This Cobia is rich and buttery, with just the right amount of “fishy” flavor. I’ve been wanting to make a fish taco recipe, and went with blackened fish tacos. 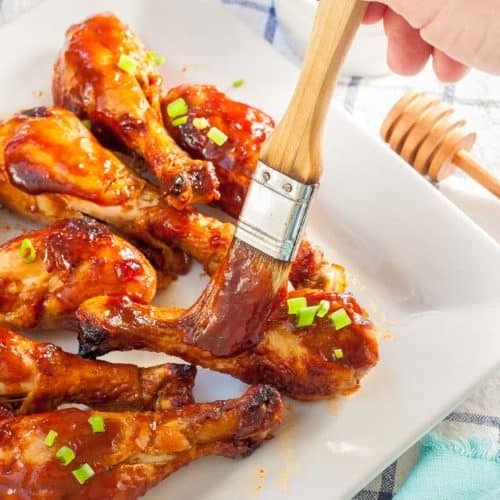 It’s made of a simple blend of seasonings; with paprika, cumin, cayenne, thyme and garlic powder bering the standouts. Coat the fish in this seasoning then pan fry in a small amount of light olive oil. You get a rich, crispy coating loaded with flavor. This pairs magically with the soft flaky fish. 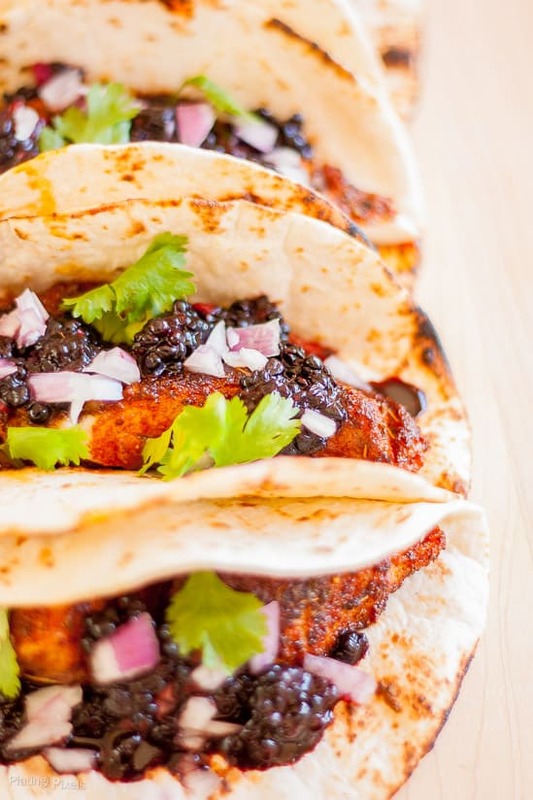 A simple fresh salsa with just the necessary, but critical, ingredient tops these blackened fish tacos for a light, healthy and unique recipe perfect for any occasion. Disclaimer: This is not a sponsored post, but the brand shipped me fresh fish so I can create this recipe. The opinions are my own. Blackened seasoned Cobia fish tacos. Topped with fresh sweet blackberry balsamic salsa. Filet fish from skin. 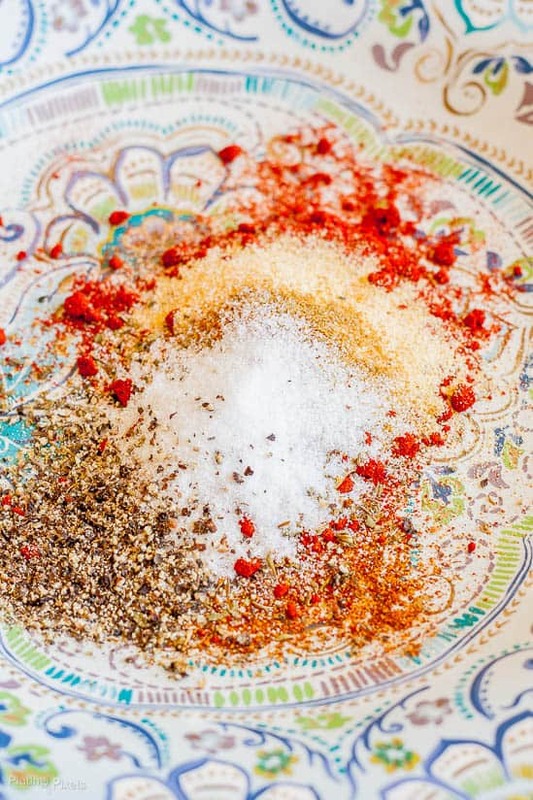 Combine all spices together in a small bowl, and spread out onto a small flat surface. Dredge fish on all sides to evenly coat with a solid layer. 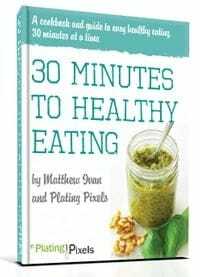 Allow to sit and soak up spices while you make salsa. In a large bowl, use a masher to create a pulp from blackberries, some chunks are fine. Add balsamic glaze, honey and red onion, stir together; set aside. In a large skillet or non-stick pan, place enough olive oil to create a thin, solid layer. Heat oil to medium-high, add seasoned Cobia fillets. Cook 4–6 minutes, rotating half way; just until outside is browned any crispy, and fish is flaky. Heat or toast tortillas if desired. 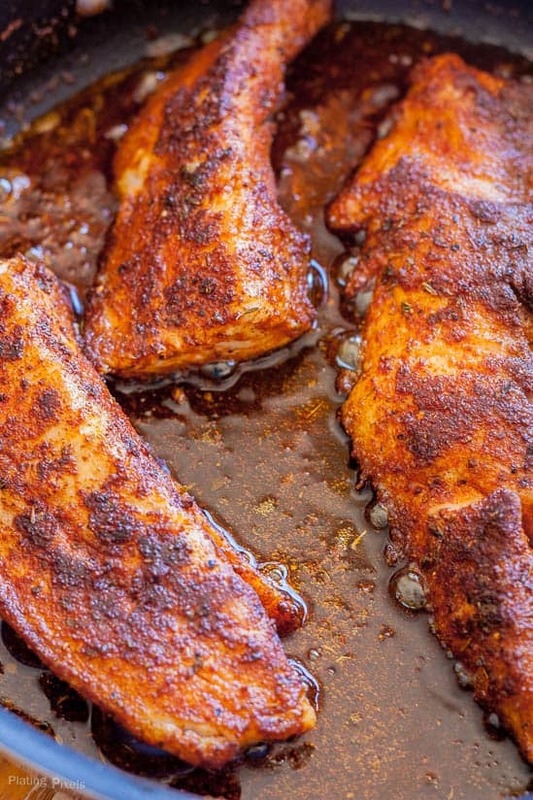 Top with blackened Cobia, spoon over salsa, and sprinkle with cabbage and cilantro. Have you tried this fish or are you excited to? I love the idea of pairing a spicy fish with a light berry salsa-like condiment. Very unusual and looks gorgeous. That’s what I was going for. Unusual, but in a good way. Thanks Laura! This one definitely is unique. I’m sure you’d like it. Thanks and you’re welcome Ros! oooh this sounds really interesting would love to give it a go. You totally should. Thanks Rosie! 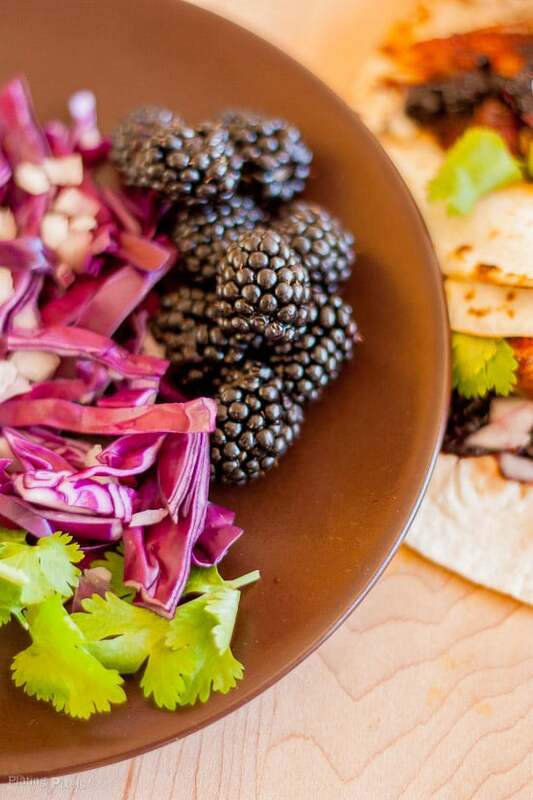 You had me at fish tacos and blackberry balsamic salsa!! Looks very tasty. Thanks for sharing. I guess those are enough to sell a recipe right? Thanks Nakeya! These are positively to die for! LOVE that blackberry balsamic salsa! 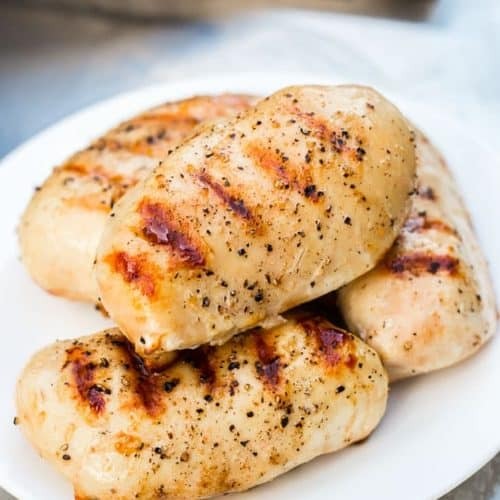 I’m imagining that salsa on grilled chicken! That would be an awesome combo too! Yumm! Will have to try this sometime soon! Thanks for sharing! I hope you do! Thanks Stephanie! Yum! These look so delicious! I actually just made tipalia tacos with peach salsa! I loveee the combination of fruit and fish tacos! I can’t wait to try your version! Ooh that sounds good too Megan! I’ve never had fish with peach but now I want too! Wow, wow, wow. 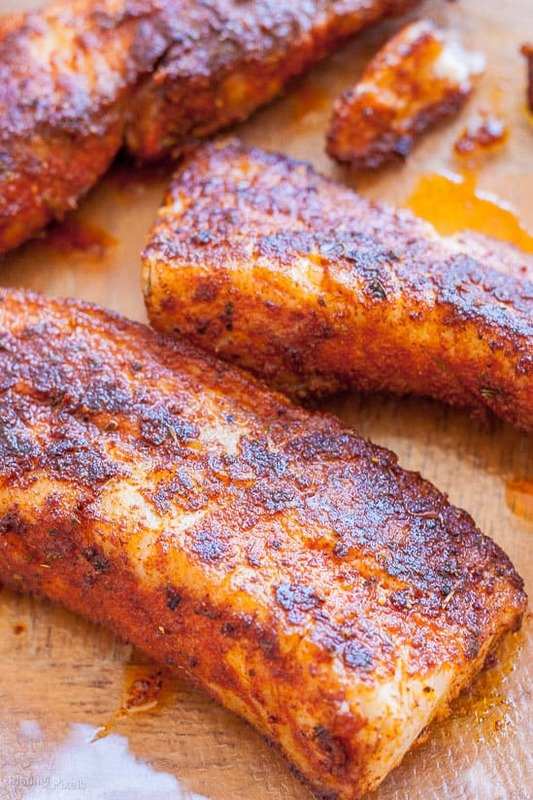 I love blackened fish and adding blackberry, amazing. You’re too kind. Thank you Tirralan! These look delicious and the blackberry balsamic salsa, wow! I’m looking forward to making these. Thanks. Thanks and you’re welcome Mary! Very tantalizing pics!! Great job. I wasn’t brought up with fruit and protein, but keep seeing and thinking I should try it – first time I saw fish with berries in balsamic?! Wow. Thanks. I love the idea of blackberries! 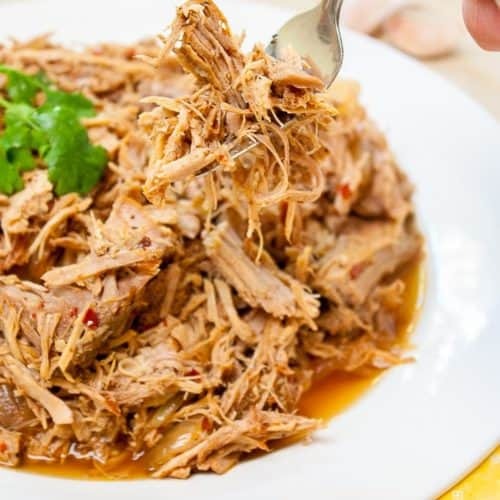 This recipe looks awesome and so good! Perfect for the end of Summer! The blackberries do make it. Luckily there’s still a bit of summer left. Thanks Ashleigh! You’re singing to my foodie soul. Tacos are my favorite. My husband and I call ourselves “Taco Snobs.” Fish tacos too.. yum!!! These sound amazing, what a combo! I cannot wait to try this! Thanks so much Leah and I hope you do! Mmm fish tacos are pretty much my favourite thing in the world! These look really yummy! That’s an awesome favorite thing to have. Thanks Tiffany! The fish, the blackberries, the combo. YUM. I am a total sucker for fish tacos and this is a recipe I haven’t seen before!! Thanks Chrissa! I like sweet and savory a lot and this idea just came to me. Turns out they pair wonderfully! We’ve got some people in my family who don’t like fish (myself included). But since fish is so good for you, we’ve been trying to eat it a little more often. This recipe seems like a great fish recipe for someone who isn’t madly in love with fish! Thanks for sharing! You’re welcome and thank you Katie! For a non-fish lover it’s a great one to try. It’s a very subtle, but delicious taste. I’ve never tried cobia before, but my friend Lisa (Good Grief Cook) was just telling me how delicious it is! That’s interesting timing. If you can find it I can’t recommend it enough Maris.